Tom Dokken, of Dokken Dog Supplies, explains how important it is that you work with your dog and get them used the having a vest on prior to season so they are not taken back or distracted by wearing something new when they hit the field. 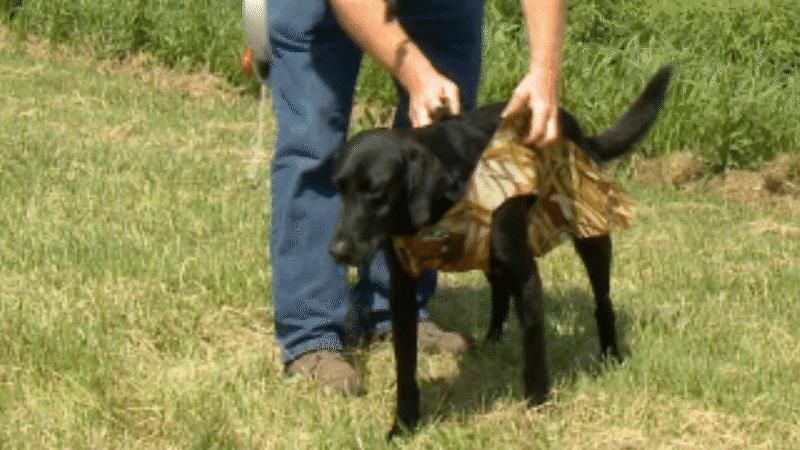 Getting Your Dog Used To A Vest -- Tom Dokken, of Dokken Dog Supplies, explains how important it is that you work with your dog and get them used the having a vest on prior to season so they are not taken back or distracted by wearing something new when they hit the field. Calling Geese In The Fog -- Gundogs Online Pro Staff member, Hunter Grounds, shows how he is so successful calling geese on foggy days by keeping things simple and mellow. Two Man Calling For Geese -- Tim and Hunter Grounds explain and demonstrate how to get the most sound out of two people calling geese together, by calling with each other and not against each other. What Is A Goose Calling Routine -- Multiple time World Goose Calling Champion, Hunter Grounds, gives a simple explanation as to what a goose calling routine for competition goose callers consists of.